CHINA YAOHUA GLASS GROUP CORPORATION, established in 1922 , is well known as the "Cradle of China glass industry", It is an extra large-size complex glass enterprise and one of the 500 largest enterprises in China. CHINA YAOHUA GLASS GROUP CORPORATION is composed of 8 branch companies,9 subsidiary companies with total property, 8 holding companies and 3 companies by participating stocks. The net fixed assets of YAOHUA is 3540 million Yuan and it covers the area of 2.08 million square meters and its employees are 12 thousand. YAOHUA boasts more than 100 kinds of products including a series of flat glass,processed glass, FRP, glass marble, resin and products of warp & weft knitting etc. 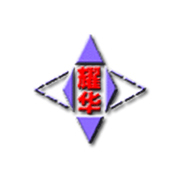 YAOHUA owns R&D Center of national level with competent personnel and advanced facilities for scientific research. The Center has been developing new products,new technology and new materials.